deliver daily value to the people who use them. MGS is proud to announce that Rosanna Station, designed in collaboration with Jacobs, has been shortlisted for the 2019 Australian Institute of Architecture State Awards for Public Architecture and Urban Design categories, as well as the Colorbond Award for Steel. See image here. MGS Architects is pleased to announce the completion of the Balwyn Park Tennis and Community Hub for the City of Boroondara. 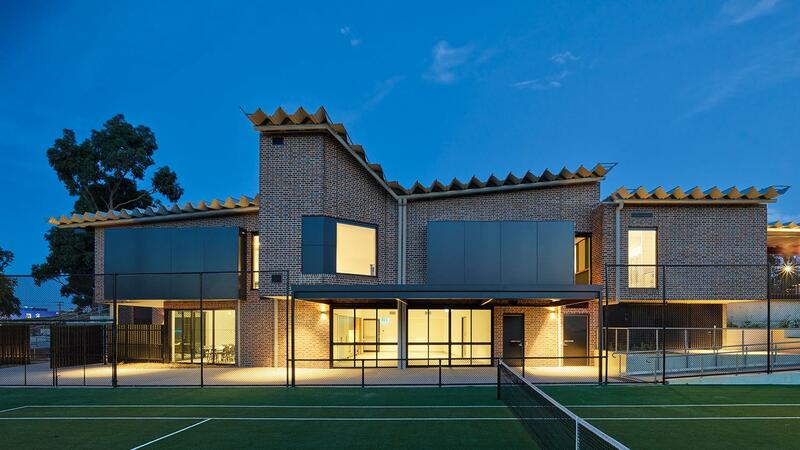 The Community Hub building provides new facilities for the Balwyn Tennis Club, Balwyn Football Club and U3A groups, as well as multi-use facilities available to the general public for community events. Additionally, significant landscape works have been undertaken as part of the project to upgrade the public spaces surrounding the building. See image here. Construction for the new 5-storey, 550 space multi-deck car park and community space in Box Hill is progressing quickly with the fourth level slab about to be poured. The building has been designed with a plaza space facing onto an existing pocket park, providing an extension of valuable public open space within the thriving urban environment in Box Hill. Pocket setbacks cut along the boundaries of an efficient car parking grid create vegetation nooks across the building facade and retention of existing gum trees. If Melbourne is to continue to be liveable as it grows, there is an increasing urgency to provide affordable housing close to jobs, social networks and transport. This isn't merely a question of being an equitable city, but also a functioning and productive city. In this panel discussion, representatives from government, housing associations, the development industry and the design sector will put forward their vision for addressing this urgent and complex issue. Book tickets here. MGS with Kate Seddon Landscape Design and SUPERPLEASED have taken the traditions of the pavilion in the park combining it with the latest glass technology by proposing a design that connects architecture, landscape and art. Teahouse-Treehouse is a series of colourful, permeable structures that encourage various modes of occupation, and engagement. Teahouse-Treehouse was not selected for the First Stage Competition. MGS, together with our client HousingFirst are pleased to announce the town planning approval for the ‘St Kilda Apartments’ project. This project will deliver significantly improved housing for some of Melbourne’s most disadvantaged families. Along with the refurbishment of the existing heritage buildings on site, a new ‘Building A’ will replace 36 purpose-built accommodation units for women and children. MGS Architects is pleased to announce the appointment of Elliet Spring to the position of Associate Director. As an Architect and Urban Designer with a broad range of experience in Australia, the USA and Norway, she leads major projects such as large-scale masterplans, creative precinct strategies and campus development frameworks. This promotion reflects Elliet’s leadership role within the practice as well as her passion for urban activation and resilient design for our rapidly increasing urban population. MGS are pleased that the Kyme Place Rooming House project in Port Melbourne is featured in Architecture AU this week as a case study in easing the affordable housing crisis. Kyme Place is a special project for MGS because it brings together a social need, quality design and political will to transform a council carpark into a vibrant community for long-term residents to remain in their local area. See article here. MGS, together with the Melbourne University Graduate Union are excited to announce the town planning approval for a new landmark accommodation and academic hub in Carlton. Whilst maintaining and celebrating the heritage Gladstone Terraces facing University Square, this seven storey addition will provide 130 apartments, a public cafe, administration and study spaces for local and visiting alumni. Linked article here. Associate Director Katherine Sundermann recently took part in the Open House Melbourne’s Collectivity Talks ‘Ethical Cities’ panel to discuss how to design a more ethical future for our city.“An ethical city is a just and good city, in contrast to the expected and the expedient. It s equitable and equal.” Linked article here. Swinburne University has recently awarded the contract for the redevelopment of the 8300sqm Building TC to MGS Architects. The redevelopment project re-imagines the atrium of the building as a series of world-class teaching and learning spaces, anchored by high-tech ground level laboratories. The project will ensure Swinburne’s Faculty of Science, Engineering and Technology (FSET) and Pathways and Vocational Education (PAVE) programs continue to generate some of Australia’s most important research and development. Image here. MGS Architects congratulate Bendigo Kangan Institute for receiving government funding to enter the next stage of redevelopment. MGS Architects is proud to have delivered a masterplan and feasibility for the funding application to the ‘Revitalise Bendigo’ initiative. The masterplan and schematic building design explore the opportunities to revitalise the city campus and integrate it wholly into the fabric of the city by optimising its assets, proximity to many of Bendigo’s major attractions, local community facilities and significant heritage. Image here. Sundermann to the position of Associate Director. passion for strategic thinking about the future of our cities. MGS Architects has been appointed as the Lead Consultant for the UNSW Campus Design Masterplan Framework (CDMF), partnering with Norwegian architectural firm Snohetta and landscape architects Tract Consultants Sydney. A member of Australia’s Group of Eight coalition of universities, ranked 45th in the 2017 QS World Rankings and globally renowned for their research excellence, UNSW has commissioned the CDMF to guide future development and to enable the ambitions articulated in their 2025 Strategy. MGS Architects is pleased to announce the appointment of Elliet Spring to the position of Associate. Elliet has a broad range of experience across institutional, cultural, commercial and urban projects in Australia, and overseas. Her design focus is urban design and activation, climate change and resilient design. This promotion reflects Elliet’s ongoing leadership role within MGS Architects, her innovative design, technical expertise, and strong client relationships. The City of Boroondara has recently awarded the construction contract for the Balwyn Park Tennis and Community Facility to SJ Higgins. The new building, due for completion by the end of 2018, provides a series of flexible community meeting and learning spaces, a dedicated tennis club house, 4no. synthetic tennis courts, landscaped viewing terraces and related parking. Practical completion has been issued for the Bristol Hotel redevelopment in Williamstown. While leveraging the iconic form of the original heritage listed building, the completed project presents a new architectural expression to Ferguson Street and Station Road frontages. Construction works for the forty apartments was undertaken by Manresa. Completion photo here. MGS Architects are pleased to announce the award of contract for Stage 1 at Leith Park, St Helena. The new Stage 1 development consists of 3 buildings and a total of 27no. 1 and 2 bedroom independent living units, with an additional 16no. units planned for in Stage 2. Working within the constraints of the sites’ steep topography and existing mature trees MGS established a cluster of new predominately north facing residences, with lift access to all floors and car parking for the new residents. Hewcon have been awarded the construction contract for Stage 1. MGS Architects are pleased to announce the start of construction on VincentCare’s Inner Melbourne Redevelopment. Replacing the old Ozanam House on Flemington Road, North Melbourne, the new development will be a world-class support and accommodation hub providing short, medium and long term housing solutions, a range of co-located health and social services, and a public café for those experiencing homelessness and the wider community. The Planning Institute of Australia has awarded MGS and Monash University with the From Plan to Place National Planning Award for Monash University Clayton Campus. This recognises the transformation of the campus over the last decade through the delivery of the campus masterplan and the ongoing commitment to design excellence. We are very proud of our ongoing role in this great place. More information and the jury citation can be found here. The proposed design for the Lower Plenty Road level crossing removal has been released, including a new design for Rosanna Station. Our team has been working as part of the North East Program Alliance, led by Laing O’Rourke, Fulton Hogan and Jacobs, to develop a proposal that will deliver a great station, improved public realm and better urban connectivity for the whole community. Click here for 360º images and a flythrough. The City of Whitehorse has recently awarded MGS Architects the contract for the design, documentation and construction administration of the Harrow Street Multi Deck Car Park and Community Space. Located at the existing Harrow Street on grade car park the new 14m high building will provide new consolidated parking for more than 400 car spaces, a new multi-purpose community space, community service provider offices, and new urban design upgrades including new landscaping to Harrow and John Streets, and a new northern urban plaza. Construction is planned for early 2018. Our team has been working hard on the designs for level crossing projects as part of the North East Program Alliance. The design for the first site at Grange Road Alphington has just been publicly announced, featuring enhanced cycle connectivity and an integrated response to landscape and footbridges. Watch out for our Rosanna Station design, which should be ready for release early in the new year. Click here for more information. We are proud to announce the completion of the Dawson Street Car Park in Sunshine for the City of Brimbank. This building completes the first piece of the MGS Architects’ master plan for the precinct, providing an important east-west link from Dawson Street to the aquatic centre. MGS has recently been commissioned by the City of Brimbank to advance the design and documentation of Stage 2, due for completion at the end of 2017. More info here. The Clayton Campus Masterplan has received the From Plan to Place Award in the 2016 PIA Victorian Awards. Alongside the awards for architecture and urban design, this latest award is clear recognition for the many years of effort and leadership by the University and design partners that have collectively transformed the campus. The University s statement on the awards can be found here. The masterplan for Monash University Clayton Campus has been recognised among the best urban design projects in the nation, awarded a commendation for Delivered Outcome – Large Scale projects in the 2016 Australia Urban Design Awards. The full list of winners can be found here. MGS has been appointed as part of the winning alliance led by Laing O Rourke, Fulton Hogan and Jacobs. This major project will remove the Lower Plenty Road and Grange Road level crossings. Our role involves the architectural and urban design of Rosanna Station and other infrastructure at Heidelberg and Alphington. The full announcement can be found here. The University of Wollongong has endorsed and publically released the campus master plan, as the culmination of over 9 months of detailed work by our office and our multidisciplinary team of consultants. The plan, which will guide the campus development over the next 20 years, was prepared in consultation with the University s senior leadership, staff, students and with strong engagement with council and the local community. For more info, click here. We are very pleased to announce that our project for VincentCare Victoria was granted planning approval by the City of Melbourne earlier this week. This project will deliver a mix of short, medium and long term accommodation as well as community services, helping VincentCare address the huge need for housing support in our community. MGS Architects are pleased to announce new appointments into key studio leadership positions. Ahmad Fardi, Catherine Ranger and Simon Wollan have all been promoted to the new position of Associate Director at MGS. Babak Kahvazadeh, John Bezemer and Katherine Sundermann have all been promoted to the position of Associate. Collectively this promotion reflects our studio’s commitment to innovative design solutions, technical expertise, strong client relations and industry leadership. The Australian Ballet School Residences was named as a finalist in the 2016 Horbury Hunt Commercial Award category of the Think Brick awards. This recognises the innovative yet playful use of brick in the design of these residences, responding sensitively to the brick and terracotta heritage of the existing house. See here for more information. Read a recent article in The Age that describes some of the ideas behind the design of the Australian Ballet School Residences, including interviews with MGS director Joshua Wheeler and associate Catherine Ranger. The relationship between old and new buildings and the importance of creating a home away from home are forefront in this review. MGS Architects is pleased to announce that the Monash Clayton Eastern Residential Precinct has been presented with an Architecture Award for Urban Design by the AIA Victorian Chapter, alongside two other major awards for architectural design. The project sets a new benchmark for the ability of a diverse range of place makers and architects collaborating to deliver a high quality neighbourhood. The full list of winners is available here. Urban Melbourne has published the first public views of a very exciting project currently underway in the studio. VincentCare Victoria has engaged MGS Architects to prepare a major development incorporating short and longer term accommodation and community facilities for the homeless. Read more here and check back for more updates soon. Major projects at Monash University Clayton Campus have again featured in the shortlist for the AIA Victorian Architecture Awards. Two Halls of Residence projects (by MCR and Hayball with Richard Middleton) have been shortlisted for multiple housing, and the MGS masterplan for the precinct as a whole has been shortlisted for urban design. Congratulations to Monash University and our partners and colleagues in these great projects. Melbourne s western suburbs are ready for a brilliant future, aided by focussed investment and a coordinated vision for transformation. See this two-part interview with MGS Director Rob McGauran on the potential for Melbourne s west, supported by images from key MGS projects for the City of Brimbank, Victoria University and the City of Maribyrnong. Gender equity is a societal issue which goes to the core of the values we share. Women need to be given the same career opportunities as men and should be engaged to design our most important public and civic buildings. Men need equal opportunities too, and this means nurturing and caring for family and friends. MGS congratulates Monash on the establishment of the Women in Art, Design and Architecture Network. An exhibition of jewellery works featuring the designs of MGS director Eli Giannini, Associate Sue Buchannan and Jane Mooney was recently reviewed in The Age. The exhibition, continuing at &Gallery (220 Spencer Street, Melbourne) until April 15, features objects made with a mix of high and low materials including high-vis reflectors, intended in part to investigate the gap between visual and tactile experience. Read this interview with MGS director Rob McGauran, recently published in Assemble Papers. The wide ranging discussion covers many of Rob s passions and gives insights into the everyday thinking within the studio. It also features some fantastic photos of some of our recent projects. Click here for more. Marilyn Rowe House, the Australian Ballet School’s new student residence, was officially opened in January by The Australian Ballet’s patron, His Excellency the Governor-General, Sir Peter Cosgrove AK MC (Retd). The new student accommodation building is a delicate addition to one of Parkville’s grand old homes providing shared living and dormitory spaces for up to twenty-five ballet students. Full photos to follow, preview here. MGS Director Rob McGauran spoke yesterday at the Creating Healthy Cities Summit organised by the ADC Forum. His talk focussed on the need for design led approaches for creating better cities, using processes grounded by evidence as a means to build a compelling case for change. A summary of his talk is available here (PDF, 3.6mb). The new student accommodation for the Australian Ballet School is due for completion in January 2016. Weather tight at the start of November the project is proceeding at a fast pace with internal linings currently being installed. MGS were pleased to be commissioned to select the loose furniture throughout the residence, now complete and ordered for delivery. For a preview of the northern courtyard, click here. North West Precinct at Monash University Clayton Campus by JCB Architects with MGS (urban design) was awarded a 2015 AIA National Architecture Award for Urban Design. The jury noted “These works are about urban renewal... they have brought new energy and focus to a previously lifeless precinct.” Congratulations to JCB and the whole Monash University team. More info here. Construction of the extension to the Gisborne Retail Centre is due for completion on programme in mid-December 2015. This project extends on the original retail centre by MGS Architects, which received the 2005 RAIA Award for Sustainable Architecture. The extension includes 450m2 of new retail area, reconfiguration of the existing tenancies and a new pedestrian walkway linking Bramtone Street to the central heart of the centre. We are excited to begin work on a master plan for the University of Wollongong, creating a vision and framework to guide campus development over the next twenty years. Due for competition in July 2016, the master plan will be driven by engagement with University academics, students and the facilities team, government and industry partners and the Wollongong community. The Bendigo Library was a Commendation Recipient in the Local Government Property Category at the recent API awards. The award was presented to the City of Greater Bendigo in acknowledgement of their delivery of the completed library, its contribution to the local community and for achieving a sustainable development in the built for the long term social benefit of the community. Congratulations to all involved. MGS have recently been awarded the contract for the Balwyn Park Tennis and Community Facility by the City of Boroondara. The new facility will provide accommodation for the Balwyn Park Tennis Club, including four new tennis courts, and for a diverse range of community needs and activities including multipurpose community spaces, U3A, and seasonal football and cricket club use. In a move that reflects the evolving nature of our practice we are pleased to unveil a new look logo. From the 15th of August, 2015 we move to a contemporary green field overlaid with a custom designed MGS font. The new logo continues to reflect our studio s commitment to our clients and community by enriching their lives with colourful and robust projects. We bid farewell to black and white and welcome green with a renewed sense of optimism. The recent 2015 Victorian Architecture Awards demonstrate the depth of design quality emerging at Monash University Clayton. Five awards were given to campus projects, including the prestigious Joseph Reed Award for Urban Design awarded to Monash University North West Precinct by Jackson Clements Burrows Architects in collaboration with MGS (masterplan). Congratulations to all involved in these great projects. More info here. Following the successful completion of the Melbourne Campus Master Plan, La Trobe University Council has recently endorsed the Bendigo Campus Master Plan. This will provide a comprehensive guide to the development of the Flora Hill campus for the next 15 years. The plan reimagines the campus as one of a network of collaborative knowledge hubs across Bendigo. The first projects from the plan are already underway. The tenders for the construction of the much needed accommodation for the best of Australia’s future dance talent has recently closed. The design by MGS Architects for the renovation of the existing Edwardian villa and 450m2 extension will for the first time provide high-quality, specifically configured housing for the Australian Ballet School and will help the school compete with the best schools internationally. For a preview of the design, click here. 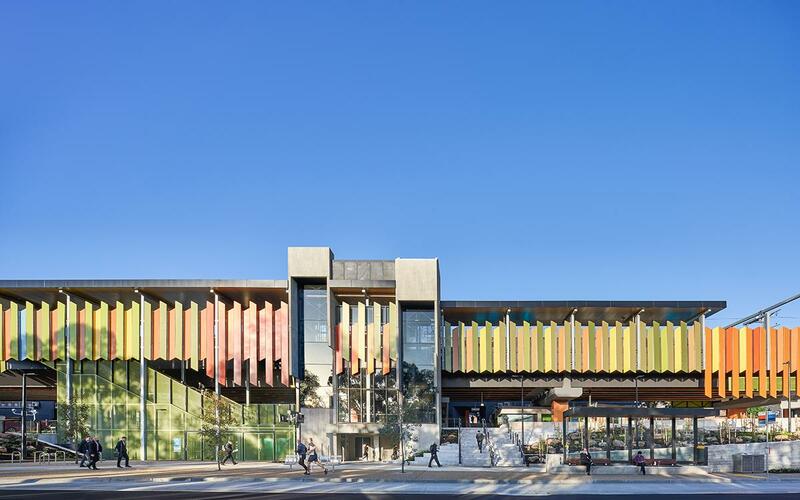 The internationally recognised C3 Journal has included the Bendigo Library Redevelopment by MGS Architects in its recent round-up of the best public and institutional buildings from around the world. Watch a video interview with MGS directors Eli Giannini and Joshua Wheeler on the design inspirations for the Bendigo Library redevelopment online, including a walk through view of some of the key spaces in the building. In case you missed it, you can also now read Justine Clarke s review of the building published in Architecture Australia, now available online here. MGS Director Rob McGauran recently published an article in the VPELA Revue, providing a comprehensive account of the approaches MGS Architects have used in designing and planning for learning communities. New approaches for innovation and knowledge clusters will be crucial towards creating a sustainable and successful future city. MGS are pleased to announce the award of a planning permit for 389 Swanston Street. The project, a 33 storey tower on a small site, will bring an exciting mix of vertical retailing, hospitality and student college living to this bustling junction between Melbourne CBD s core retailing and educational precincts. The planning permit was approved through direct negotiations with Melbourne City Council who recognised the important contribution that this project would bring to the city. La Trobe University Council has endorsed the Melbourne Campus Master Plan. MGS Architects led a multi-disciplinary project team over a 14 month process to deliver this important plan for the University’s premier campus. The Master Plan, described as an important milestone in the University s evolution, will underpin decisions for the transformation of the campus and associated landholdings. The recently completed New Generation Bendigo Library has won the AIA Victoria Regional Award. The jury noted that ‘the library redevelopment makes a significant contribution to the regional regeneration of the City of Bendigo as a major piece of civic infrastructure which is progressive and forward looking’. The project also received a commendation in the Public Architecture – Alterations and Additions category.